Finches are small, energetic birds that are best admired from afar. These birds are known for their beauty and some are able to sing. They are well suited for aviaries and flights, but a pair can be kept together in a cage. They are not meant to be alone, so you should own at least two at a time. Most don’t interact well with people, so they spend a lot of time in their cages. For this reason, you need an adaquately sized cage with perches on either end to provide them with maximum flying space. There are several different species of these birds, and they differ mostly only in color. The most popular are shown below. Color Differences The different species range from drably colored to brightly colored. Qualities Small, active, good in aviaries or flights, pairs can be kept in cages, should not be kept alone, don’t interact well with people, better for being admired from afar, some sing songs, some species are good for first-time owners. Abilities Low–they don’t talk, learn tricks, or cuddle. 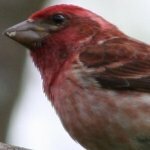 See How Finches Compare to Other Types of Pet Birds! 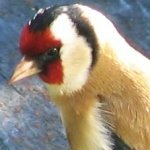 Video by TheBiglittlecatFinches are truly beautiful birds. This video shows just how wonderful they are to watch. Video by GoensMoviesFinches are also extremely fascinating. They are pretty, quick, and entertaining. 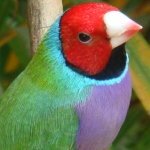 This video shows the unique Gouldian courtship dance exhibited by male Gouldians when around a female. 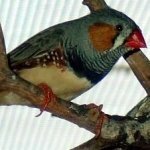 Video by svbayEven though most Finches don’t leave their cage very often, hand-fed babies are likely to be able to be hand-tamed. 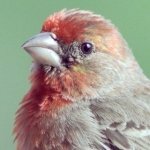 This video shows a hand-tamed Finch and how some can learn to interact well with humans. 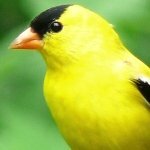 Have A Great Story About Your Finch?